The Weider X-Factor is a new door-mounted home gym. Weider Fitness has been around for years, and is well known for serious, high quality fitness equipment. We set one up a few weeks ago and have been using it at least every other day. This review is a run-down of the equipment, including what you get in the box, set up, and usage. The Weider X-Factor mounts on virtually any door, which make it attractive to those without much space for a large home gym apparatus. The X-Factor provides 210 lbs of resistance, which is more than enough for a good home workout. 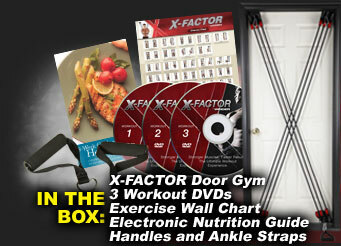 In the box, you receive the X-Factor (with 2 handles, 2 ankle straps, and 4 connection clips), an exercise chart, 3 DVDs, and a nutrition guide. It is always nice to get good instruction materials with a piece of workout equipment. I liked the DVDs – very informative and professionally done. The wall chart is nice as well. I put it on the wall next to the door as a reference. I played with the nutrition guide, which is computer-based (PC only) and found that it has good basic information. It is helpful, but with my personal background in fitness and nutrition, I probably won’t look at it again. I am sure that many will find it useful if interested in combining a nutrition plan with their XFactor workout plan. Mounting the unit is very easy. It comes already assembled, so you are basically just hanging it on a door. You can leave it on the door if you like. If you are short on space and can not fit a larger home gym, the X-Factor is perfect. The convenience of having it on a door is really the number one reason to get one of these. The components are all of good quality. I was a little concerned about the plastic pulleys, but when I took a close look at them, I am sure that they will not be a problem. The X-Factor comes with a lifetime warranty, which is way better than most exercise equipment in this price range. I enjoyed the workout from with the X-factor. It is an extremely versatile piece of equipment on which you can do many different exercises. I’ve been using it for a while now and have not gotten board with it. The exercises are easy to do, but work your body hard. Weider claims that the X-Factor strengthens your core, which I can verify. Leg and are exercises are effective as well. Bottom Line: If you have the space and money, get a full home gym. If you are looking an alternative that is does not take up a lot of space, but lets you get a great workout, then I recommend the X-Factor. I do think that the X-Factor is a bargain at around $100. Finally, a comprehensive review of the Weider X-Factor Door Mounted Home Gym http://bit.ly/aRC2iL Posted on our Blog with Video! now i am really interested in knowing how strong of a resistance you can go up to. In you’re video you pulled down on bands like it wa absolutley no problem at all. i want a good chest work out with good resistance for doing flys. i want to strain a little in other words not just go through the motion. And are the plastic housing were you clamp the grips on are they sturdy or breakable easy. Responding to wezel, I have had a problem with the plastic parts on both 15-lb. resistance bands breaking. I can’t explain why, since the heavier bands seem to be doing fine. Although there is a ifetime warranty, I’ll be damned if I can figure out how to get Weider to send me replacement parts. Their website seems deliberately difficult to navigate. It wants a model number and a serial number to let you go anywhere– and I have searched high and low on the X-Factor for a serial number, and there just isn’t one. It’s very, very frustrating. We will take care of a rare quality issue like yours. We are closely partnered with Weider, and unlike other retailers, we are very easy to get a hold of by phone or email. If you can not receive satisfaction from a manufacturer we represent, we have been known to replace an entire unit at our cost. Our site is http://www.BetterHealthInnovations.com and we run this blog. If you purchased from us, please send your contact info to us so this can be fixed quickly. sadly, i didn’t purchase from you. but the retailer i dealt with was very helpful in taking care of the problem. wish i could say the same about weider. i was very disappointed about that. all of that said, the x-factor is a tremendous product. 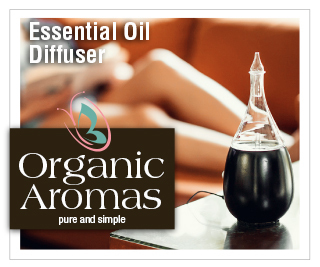 i have used it regularly since i got it, and i am seeing some pretty terrific results in a fairly short time. my apartment is rather small, but the -factor takes up almost no space and gives a great variety of exercises that work all major muscle groups. i would strongly recommend it to anyone with a small space and a tight budget. I just purchased this product for my home and my doors are too solid to use this. In other words if your doors fit perfectly flush with the door frame you will not be able to use this gym and it will damage your door, and door frame as it did mine. Would this make a decent travel exercise kit? Could you reasonably use it in motel rooms? If so, is there a carrying bag? Great idea for working out on the road! The X-Factor would take up a bit of room in a suitcase (but it would fit), so if you like to travel light, it may not be the best solution. However, if you have a bit of extra space, it would be perfect for working out on a trip. We had one other customer (out of hundreds) with this problem and I am not sure if there is anyway to tell without trying it if this will be an issue for a specific door. If you purchased the X-Factor from us, please send us an email or call so you can return the unit (no restocking fee). Can this system be premanently mounted on a wall? I’m thinking of mounting a couple of 2×4 w/ spacers at the same hieghts as a door top and bottom. That’s a great idea. I have never thought of it, but there is no reason that you could not mount the X-Factor on a wall. You would have to go into the studs and use screws large enough to handle the force of your workout. I am considering purchasing an X-factor but am confused about the resistance. I read on one advertisement that the harder you work (faster?) the more resistance it provides. Does it just depend on what bands you are using? What is the lowest resistance that you can use? Kelly, The resistance does not vary based on speed. Many of the commercials show the models working out rather fast. I enjoy going fairly fast to get my body in a rhythm. Also, before doing any strength workout I do a cardio routine first (usually on an exercise bike or elliptical machine). This gets my heart pumping and lungs going, bringing more oxygen to my muscles. While working out on the X-Factor, I like to keep the pace up – not for the cardio, but to get the most of the strength workout. This is not to say that you can not workout slower on the X-Factor, it is just my preference. To answer your original question, the lowest resistance is 15 lbs. I was really thinking about getting one of these until I noticed that there is no way it would fit the top of my door. The door itself rubs against the frame at the top when it shuts so im pretty sure i would not be able to close my door with the x-factor on. Maybe if there was a mounting option i’d be down. This is definitely a concern, which I commented on before. We have sold several hundred of these and have had only two customers (one just last week) who had an issue mounting it on the door. For fit issues such as this, we will accept the return with no restocking fee. When doing cardio or exercises with a lot of speed – do the pulleys hold up? I have a Tower 200 and high speed exercises caused the pins in the pulleys to heat up and meld the plastic pulleys. Has anyone experienced that with the X-Factor?? I’ve never heard of that on the X-Factor. Actually, I’ve never heard of that on the Tower 200 either! Anyone else? I am thinking about buying weider x factor. Look like it will work out well for my body and muscles. But, I have questions about x factor…Will it burn off fats? and will the x factor convert fats into muscles? i have been using this with for a month now and i can really see the results ive gained five pounds of muscle love this thing. I just have a concern regarding the resistance tubes. I have worked with resistance tubes and they seem to snap after a period of time. The tower 200 uses bungee chords, so does the x factor resistance band can last along time and are they part of the warranty also? Thanks in advance! The resistance bands are absolutely covered by warranty! 1. Im assuming is comes with more then one handle so you can work two pulleys at the same time. Correct? 2. The highest tension was 60lbs therefore if im using both pulleys doesn’t that mean the highest weight i can pull is only 120lbs and not the 210 listed? 3. I plan on putting it on a door in my basement and the door is shorter then your average one. Does the system adjust to different heights? 2. The metal anchor plates on the top corners of the door scraped paint off of the door casing. Also, the door will not close unless I shift the top non-hinged side so it is flush with the door. 3. Furthering my original disappointment, two of the four 15lb. pulleys make a winding noise every time they are used. 4. The Weider website says there is a lifetime warranty… the warranty that comes in the package says there is only a 90 day warranty. As there are several things wrong with this product, like I said before, the concept is great. If higher quality pulleys were used (that don’t make noise), the unit didn’t scrape the door jam like it says it should, and it was actually a lifetime warranty as stated on the website (the warranty that comes in the package has a 90 day limit) this would be a top shelf home gym for the price. Beware,warranty is 90 days,also small slits appeared on the rubber tubing within weeks of use. I’m now searching for replacement tubing. Inspect your tubing regularly!! You already know thus significantly in terms of this topic, made me in my view imagine it from a lot of various angles. Its like men and women aren’t fascinated unless it’s one thing to do with Lady gaga! Thanks for reading! We are so glad that this board was able to help you out. It’s what we are here for! interest as yours and my users would certainly benefit from some of the information you provide here. Absolutely! Feel free to curate and quote our content as much as you like! Thanks for doing so!